Kick off your visit on the 12th (Sun): see Santa Claus Office and then get in on the family fun at Santa Claus Village. 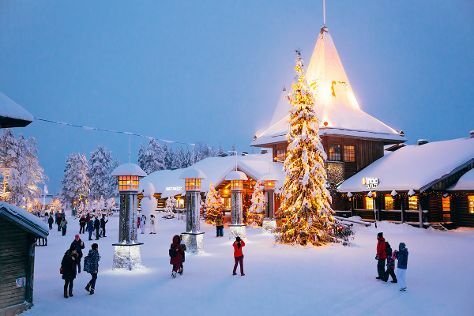 To find more things to do, maps, where to stay, and other tourist information, you can read our Rovaniemi trip maker site . New York City, USA to Rovaniemi is an approximately 16.5-hour combination of bus and flight. You can also fly; or do a combination of bus, flight, and taxi. Due to the time zone difference, you'll lose 7 hours traveling from New York City to Rovaniemi. Traveling from New York City in May, expect Rovaniemi to be slightly colder, temps between 51°F and 37°F. Wrap up your sightseeing by early afternoon on the 12th (Sun) to allow time for travel back home.